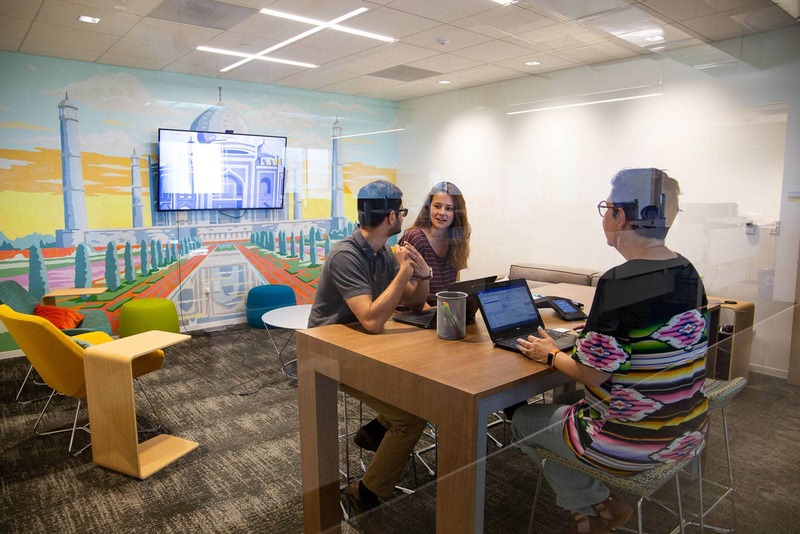 We love our employee-centric headquarters here in Austin, Texas and we’re glad to see that others do as well. Planview was recently voted the third coolest office in a contest hosted by the Austin Business Journal. Our named “plush pad,” adds just one more to the long list of reasons why we love coming to work every day. From lunchtime yoga classes to bars for employee happy hours and creative collaboration spaces, Planview goes above and beyond to take care of employees. If you missed the ABJ article, we’d love to take you on a short tour of our office. Start your day with a cup of personalized coffee and cereal from our cereal bar. After a few hours of hard work, take some time to collaborate with a coworker over a game of foosball, shuffleboard, or ping pong. Create strategic goals in one of our innovative collaboration spaces. Finish the day in our commons and discuss projects and new ideas. Our software is designed improve collaboration, and our headquarters mirrors that value. We’ve learned that the culture around us impacts our work quality, so we prioritize making our office comfortable, allowing the freedom for creativity and challenging the status quo. We are proud of our Austin office and the Planview culture that it supports. Check out more pictures of our office and other cool offices on Austin Business Journal’s website.